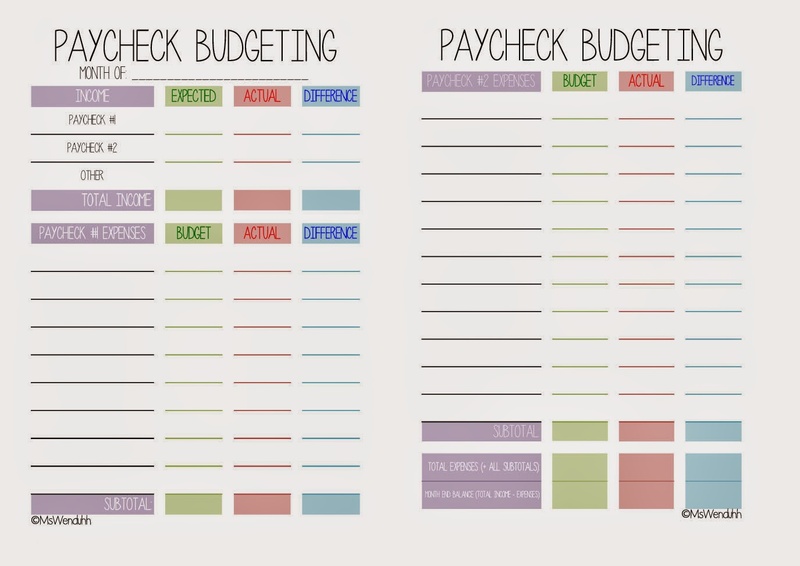 I have made yet another budgeting printable. The monthly one was too hard for me to keep track of the actual expenses for the whole month, hopefully this will work better for us. I just started using it and I think it is fairly simple to use. I also color coded it in pastels because it's cuter and neater. I have the all in one page versions for full 8.5x11 paper, A5, Personal &A6. & I also have the two page version inserts for Personal, A6, & Pocket. Please download whichever you prefer. I like the two page one for me because I can see it better and I write pretty big. 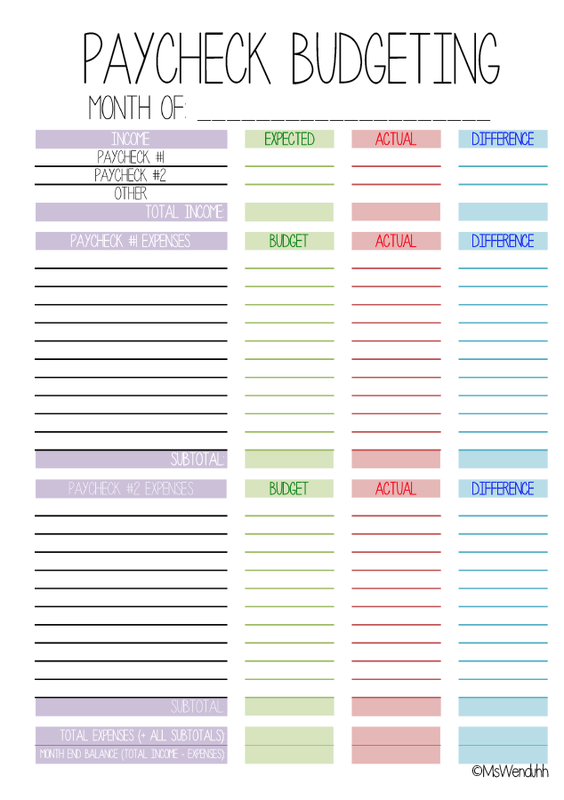 I have it laid out like this in my planner, printed double sided (printing instructions here). 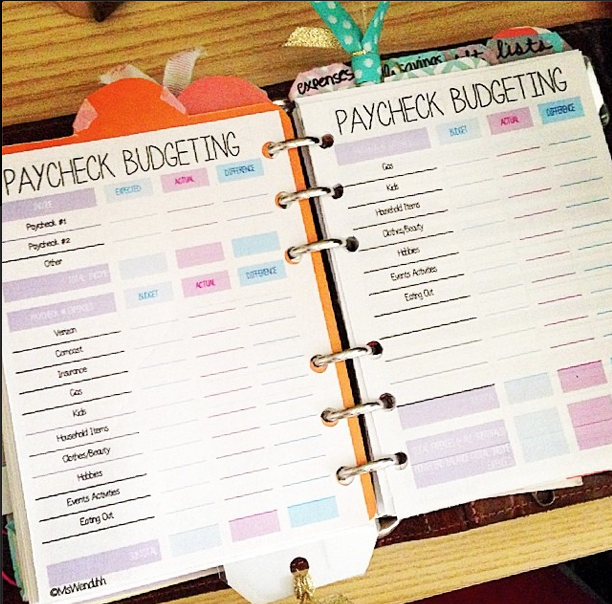 Be sure to hole punch on the right side! 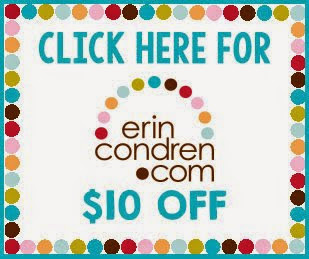 Just wanted to let you know I linked you on my blog today. Thanks for the great printable! !